Not as funny as the past years! #hkuiom knows what this is about. Pepsi put up an augmented reality panel at a London bus stop and created an advertisement from people’s experiences. Expanding use of AR as we’ve discussed in #hkuiom in the past! This campaign was run in 2011 to introduce the 2012 Volkswagen Beetle in Canada. Corning’s expanded vision for the future of glass technologies. This video continues the story of how highly engineered glass, with companion technologies, will help shape our world. ‘A Day Made of Glass 2: Same Day. Expanded Corning Vision.’ showcases several technologies of the future – 3D holographic projection, electro-chromatic glass, multi-touch sensitive surfaces in wall and table formats and augmented reality, all riding on the back of high bandwidth, optical fiber driven broadband. And the parodies have arrived. Less than 24 hours after Google showcased its Google Glasses in a G+ video post, the first (pretty good) parody (by Tom Scott) is here. 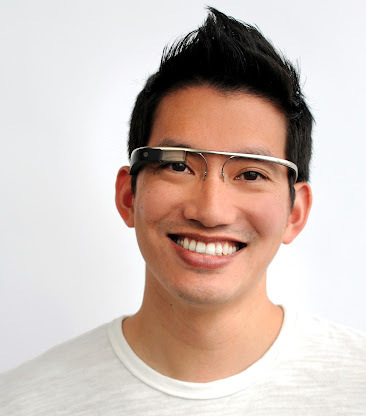 Google has posted a video about Project Glass – a concept technology that enables a heads-up display through a pair of wearable glasses. Termed Google Glasses by some, this product will enable users to access Google’s growing basket of services through a combination of voice and gesture commands. This product, which is rumored to hit the market by the end of the year (plausibly in a less finessed form?) and is being tested in the wild, will provide augmented reality displays by pulling data from Google Search, Maps, and Plus, and also have calendar, contact book, music player, and video conferencing capabilities. Images of the glasses show a rather minimalistic design, thus it is possible that the glasses will connect to a base station (an Android phone perhaps?) via bluetooth for memory storage, GPS, phone and internet access capabilities. 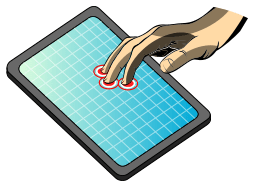 Layar Vision, which is an extension of the Layar Augmented Reality browser, offers another means by which iOS and Android App developers can use Augmented Reality (AR) to interact with physical objects. Compared to the Qualcomm AR SDK, the Layar Vision API takes a different approach by pushing the image identification processes to the server-side and having a usage based freemium pricing mechanism. Below are a few videos of the power and potential of this product. Here is a video introducing Layar Vision. Read more about the API and associated toolkit here.